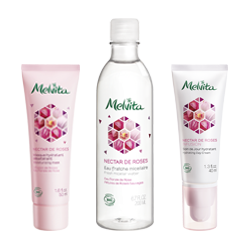 Enriched with an infusion of roses, this range leaves the skin perfectly moisturised for 24 hours. 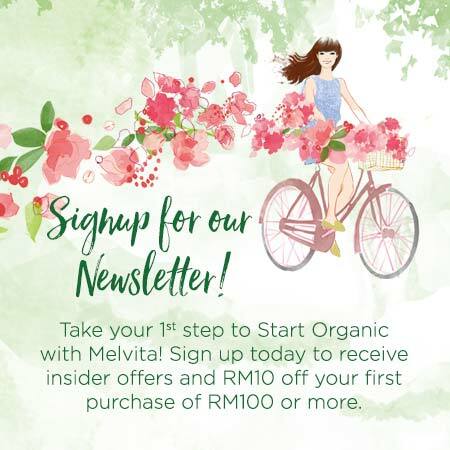 Discover organic plant oils are bursting with benefits for the face, body and hair. 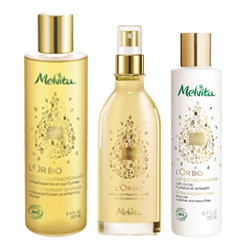 This combination of 5 precious oils provides repairing, nourishing, softening and protective properties. 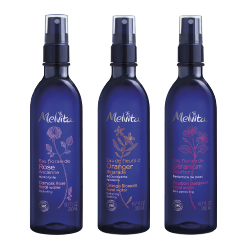 Obtained by distillation, our 6 floral waters refresh and tone the skin. 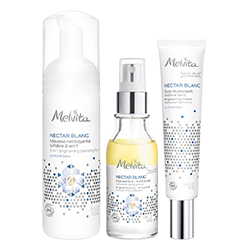 Especially designed to remove make-up and cleanse the most delicate skin without disrupting its balance. 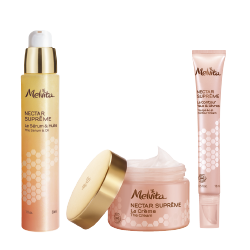 Combination of 2 nectars prized by bees in a skincare formula with complete action on the signs of ageing. 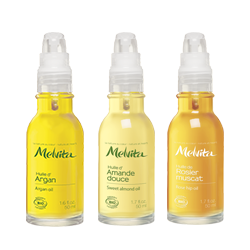 Discover our range of Serum-Lotion to prepare your skin for daily skincare products. 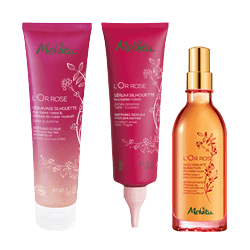 A fresh and light bouquet of wild roses, captured in bodycare products that hydrate and perfume the skin. 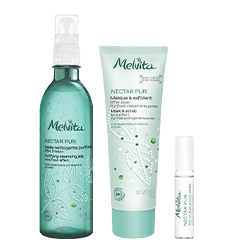 Discover a fruit and flower complex that helps to combat the first signs of ageing. A combination of peppermint and birc sap helps restore skin's balance, to leave it looking purified. Shake & Illuminate. Reveal Skin Translucency Naturally. 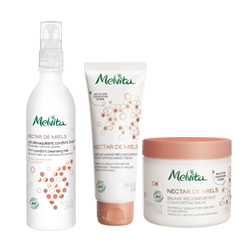 Discover a blend of 3 organic repairing flower oils in a line of sulphate-free formulas with a delicate floral scent. 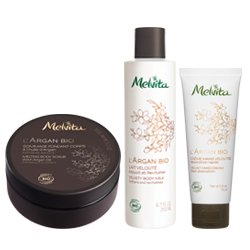 Rich and velvety texture that contains precious drops of argan oil and deliver its richness to the skin. 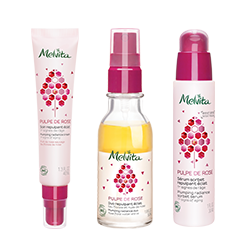 The first 2-in-1 hair care range that both soothes the scalp and protects color radiance for longer. 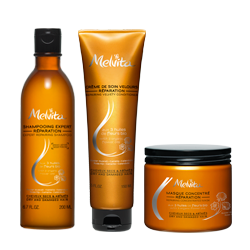 A range that combines effectiveness and pleasure of use to reduce the orange peel effect while toning skin. Thanks to the excellent repairing properties of organic thyme honey, the skin is nourished and protected.